A prominent gateway to the community of Fort McMurray, the new terminal reflects the community’s identity through its purposeful design and materials. The terminal design aimed to create an iconic and memorable presence in the northern prairie landscape. 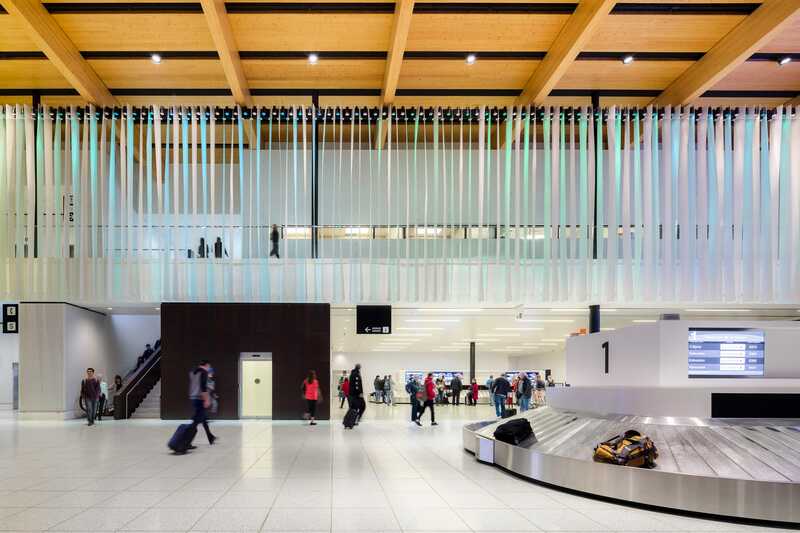 Lighting, seamlessly integrated with the prairie inspired architecture, flows in an uninterrupted pattern throughout the expansive building from the 30′ high arrivals hall to the 12′ high departure gates, enhancing the character of the building. Designed to surprise and delight travelers, northern nights dance across a 100′ long feature metal screen of the arrival’s hall for 5 minutes at the top of every evening hour reducing the stress of travel for commuters.